I have a few more tops to do. As an experiment, I cut my bias strips from the offcuts surrounding the peach top I was working on. That took a bit more work than cutting a 10″ square and following the continuous bias tape tutorial from Colette, but it was satisfying to use the oddly-shaped offcuts for something useful. To make this easier in the future, I modified my basic top laser-cutting template to include bias strips (and a few other circles and 2″ rectangles) in the off-cuts. I’ll be able to use it for the Kaufman cotton lawn that I haven’t started working on yet, and I’m looking forward to giving this tweaked pattern a try. but I find perpendicular seams easier to sew, since I don’t have to worry about the pointy ends getting misaligned. 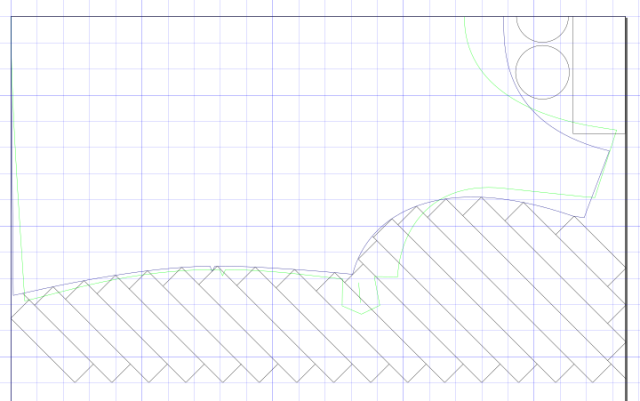 Use the pen tool to draw a long diagonal line, using the Ctrl key to constrain it to a 45-degree angle. Use Ctrl-D to duplicate it many times. 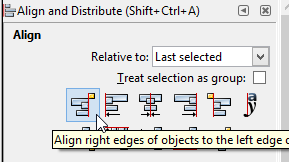 Use Object > Arrange to arrange the lines in one row (uncheck the checkbox for equal width and height). For 1″ bias strips, set the X offset to 1.414 – the diagonal line’s width. This will be a negative number. Set the Y offset to 0. Arrange the items. Combine the arranged lines and move them into position. Duplicate your main pattern with Ctrl-D. Select that and the combined diagonal lines. 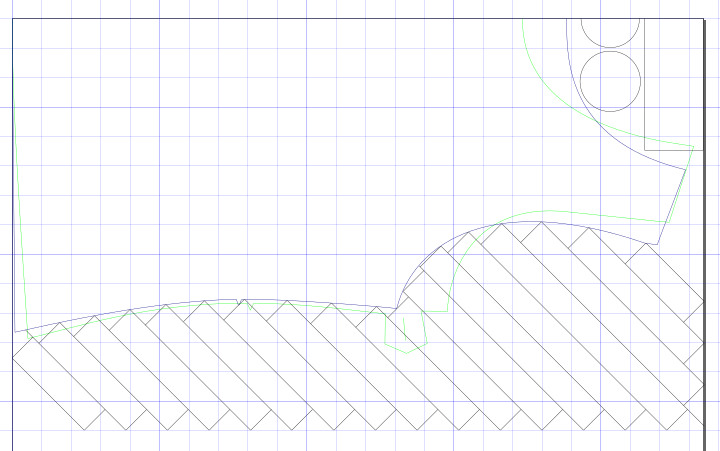 Use Path > Cut Path to cut the diagonal lines where they intersect with your main pattern. Delete the lines you don’t need. 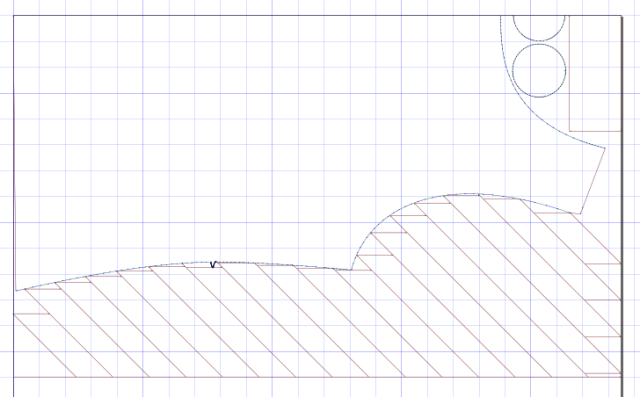 Use the pen tool to draw a line at the desired degree, using the Ctrl key to constrain the angle. Change the width (and height, for diagonal ones) in the toolbar to make it exactly fit between the lines. 2008: Welcome to my new host! 2007: Finished writing Emacs mail article!